If you hate the gym, these classes are for you. The gym can be many things, but most of the words that come to peoples mind when asked about the gym are not exactly pleasant ones. It can be intimidating if you are just starting out and don't know how to use machines or weights. I can not tell you how long it took me to gather the courage to even step foot in the squat rack section. I was clueless about weight lifting, and I didn't want to embarrass myself in front of the extremely fit guys and girls who seemingly owned the area. It also can be awkward to run into your peers or people you have been trying to avoid around campus. Take it from me, you can't hide very well behind a leg press machine. But most of all, it can be boring. For example, Monday: treadmill warm up and leg workout, Tuesday treadmill warmup and arm workout, Wednesday... well, you get it. 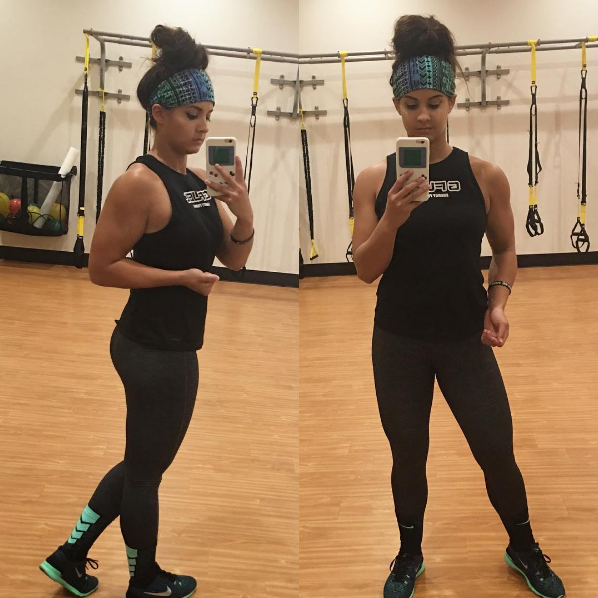 So after a friend convinced me to attend what was my very first exercise class, my perspective on working out completely shifted. Having a fun, upbeat instructor who tells you what to do takes away a lot of stress, allowing you to just enjoy the workout. Also, most classes incorporate phenomenal music playlists that are tailored to each section of the workout. And lastly, there is something very empowering about working out with a group of people. All of the participants motivate each other to complete the workout. Also, all of the studios I mention are in a walking distance of campus, making early morning sessions easier to attend. I encourage you to consider taking one of the classes so that you can have a blast while doing something to benefit yourself. Let me begin by saying this cycling class is addictive and my favorite workout class in Charleston so far. 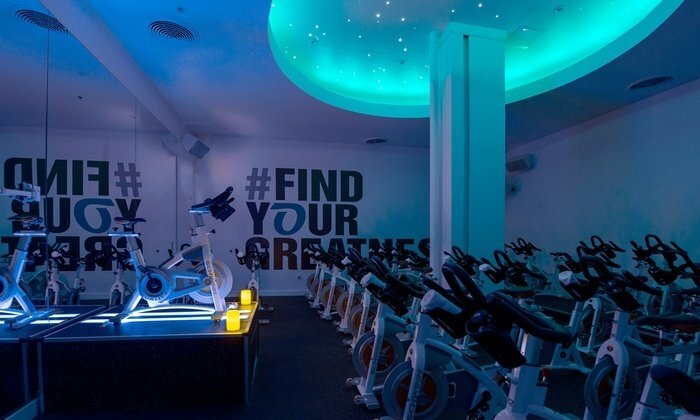 I have gone back many times for the exciting atmosphere and amazing music remixes that make you feel like you're dancing your way through the spin session. The first time I went here I was nervous about the whole stationary bike situation. However, an instructor helped me set the bike for my height and arm length. One even stopped her workout momentarily to help me get my foot locked back in the pedal when it came unlatched during an intense segment. It is the perfect class if you're looking for a challenge and to have legs so sore you have to hobble to class the next day. 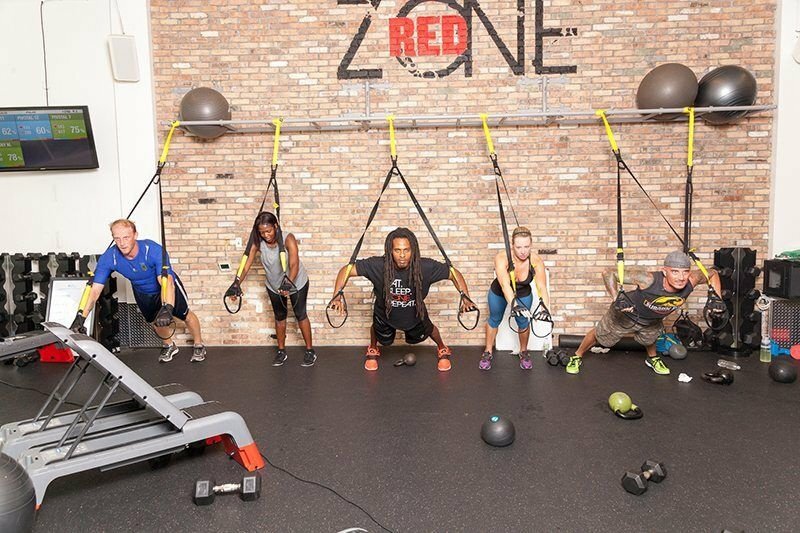 When first signing up for a RedZone class one Sunday with a friend, we did not know what we were getting ourselves into. We clicked the "reserve" button for a 6am class the following day, completely underestimating how intense their HIIT circuit would actually be for an early Monday morning workout. It was one of the most challenging group classes that I've done, but we got through it and felt amazing afterwards. Beginning at one of the three sections, you cycle through weights, short sprint sessions, and rowing machines. You can attend this class even if you feel as though you have no idea what you're doing. The instructor is very attentive and makes sure everyone gets the help they need to make the workout effective. I would recommend this class if you're looking for a fun challenge. If you think that yoga can only be for the most serene of people or that it's a requirement to listen to nature sounds while holding poses for 15 minutes, then think again. This is a fast pace hot yoga class where hip hop remixes are the music of choice and the calm truly doesn't come until after the storm. The quaint studio located on upper King Street is a welcoming and accessible environment. By the end of this class you will have gotten in a good stretch, a good sweat, and some muscle work. 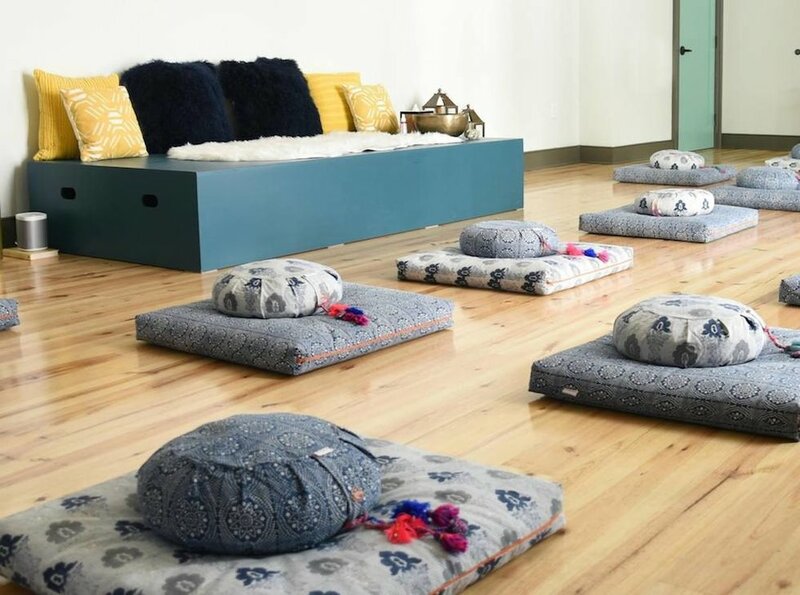 If you're in the mood to become more centered and participate in some more traditional yoga, Still Soul's Yin Yoga and Meditation class is the epitome of stress free. When I walked in to the studio, it was spa-like due to how soft everyone spoke and because it smelled like a mix of lavender and other calming scents. The room the class was held in was very dim, lit only by candles, and the instructor began by telling us how she had just gotten back from a Bali yoga retreat. That's how I knew I was in for the "zen" experience of a lifetime. While we did practice longer pose holds and the upbeat music was replaced with soft bells and chimes, I walked out of the class with my mind feeling more open and like some weight was lifted off of my shoulders. 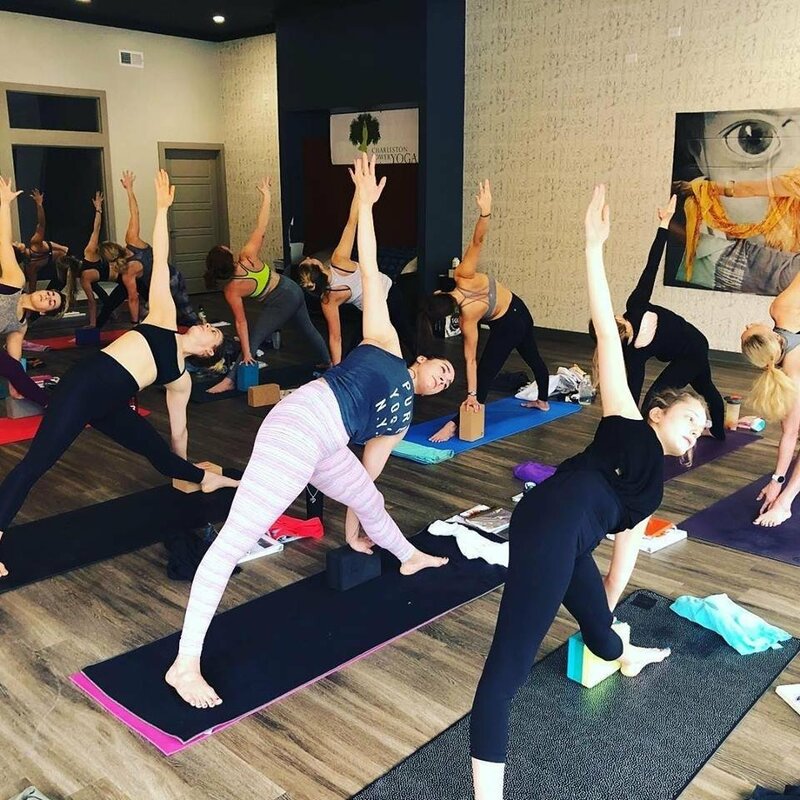 I would recommend this class to help you unwind at the end of a long day and stretch out your sore muscles from the previous class suggestions! Remember, working out should not be the worst part of your day. You can find a way to exercise that you truly enjoy and want to keep coming back to... maybe it ends up being one of these classes!